Present state: The station building survives as a youth club. The platforms have been demolished. Most of the site is now industrial units. Notes: The station was opened as Ottery St. Mary Town. The first railway on Sidmouth was narrow gauge built in connection with an 1836 dock venture, this was short lived and the dock was never built. The Sidmouth Railway was authorised in 1862 but the company collapsed after some of the lines earthworks had been built; it was revived in 1871 and the line finally opened on 6th July 1874. 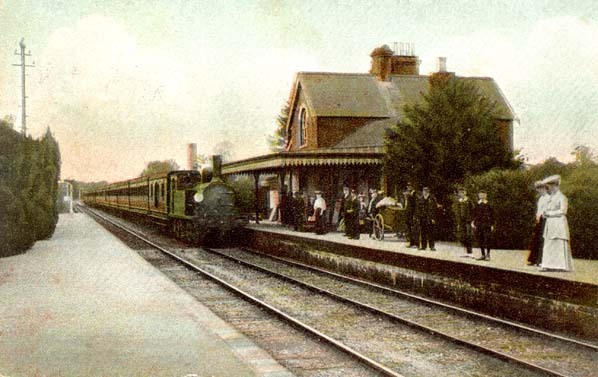 The station was inconveniently sited a mile inland; Sidmouth deliberately discouraged the railway from coming close enough to the sea front in an attempt to put off trippers, it preferred to remain a select resort, even into the second half of the 20th century. Sidmouth had been attracting a select number of visitors for 80 years, especially for winter residence and the coming of the railway made less difference than at any other resort in the West Country. The lack of sand on the beach was also an important consideration as shingle beaches are always unpopular with family holidaymakers and day trippers. Unlike Sidmouth, the resort of Budleigh Salterton welcomed the locally sponsored Budleigh Salterton Railway which continued following the Otter Valley from a junction with the Sidmouth branch at Tipton St. Johns. 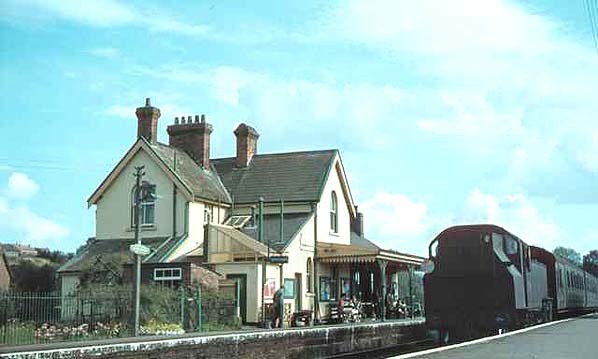 It opened on 15th May 1897 with an intermediate station at East Budleigh and a second added two years later at Newton Poppleford. Although the company remained independent until 1912 the line was operated by the London & South Western Railway who built an extension from Budleigh Salterton to Exmouth which opened on 1st June 1903 with an intermediate station at Littleham on the outskirts of Exmouth. Much of the through London - Exmouth traffic was diverted along the new line and several through trains round the circular Exeter - Exmouth - Budleigh - Sidmouth Junction - Exeter route were introduced. Use of the two branches was encouraged by the introduction of runabout tickets just before WW1 and the lines were moderately well used by day trippers from London until the start of WW2. Passenger numbers on the branch remained healthy well into the 1950's although rationalisation in the 1960 reduced the line to little more than a skeleton service with diesel multiple units being introduced on 4th November 1963. A cross country service from Cleethorpes - Exmouth was introduced in 1960 but this only lasted two years. 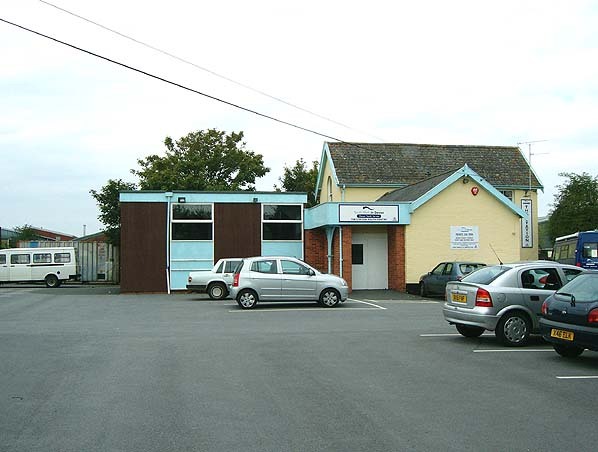 There had never been any industrial development in Budleigh Salterton and goods traffic was always correspondingly light. Freight facilities were withdrawn on 27th January 1964. With the draw down of passenger services the end was inevitable. Through trains were withdrawn at the end of the 1966 summer season and both branches closed to passenger traffic on 6th March 1967. 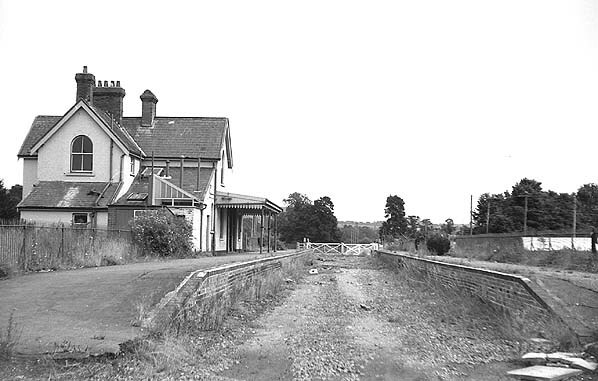 Freight traffic to Sidmouth survived for a further two months with complete closure from 8th May 1967, the track was lifted shortly after closure.